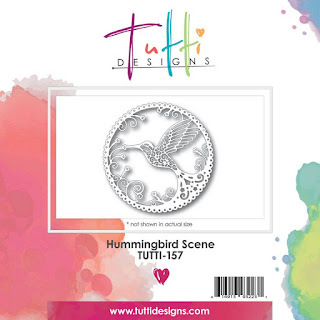 Today is Hummingbird Scene, TUTTI-157. This is one of my favourite die from the September 2016 release. This scene is so beautiful. 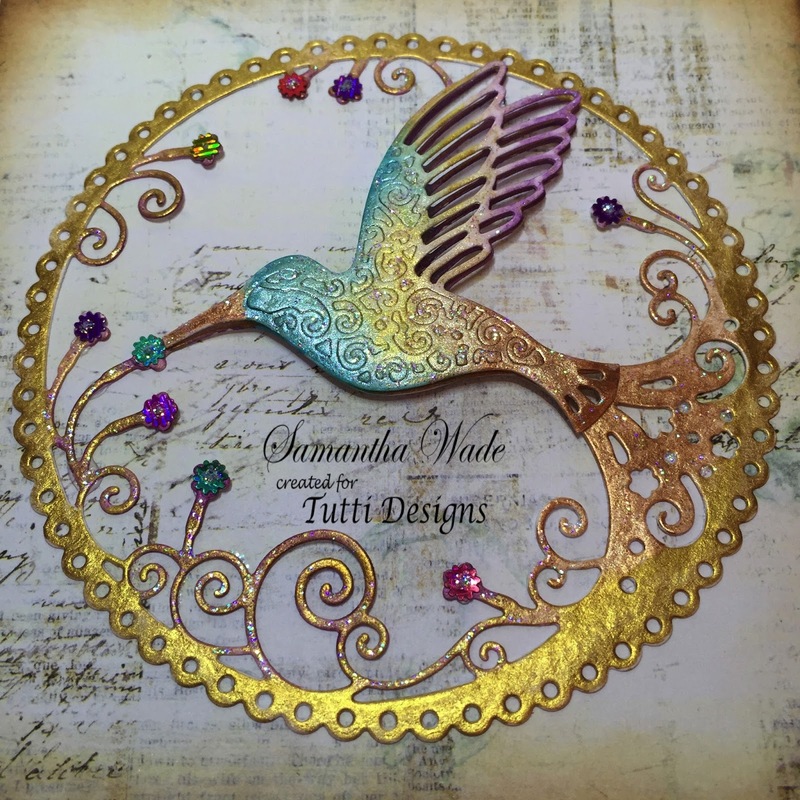 Cut twice from white smooth card and coloured in with metallic watercolour paints, then layered the bird to give dimension. Gold gilding wax around the edge and a few sequins and stickles. Glue the scene onto a vintage background paper which has vintage photo distress ink around the edges. Gorgeous Samantha love love how you did this one with all the colors! Beautiful, beautiful, beautiful!! 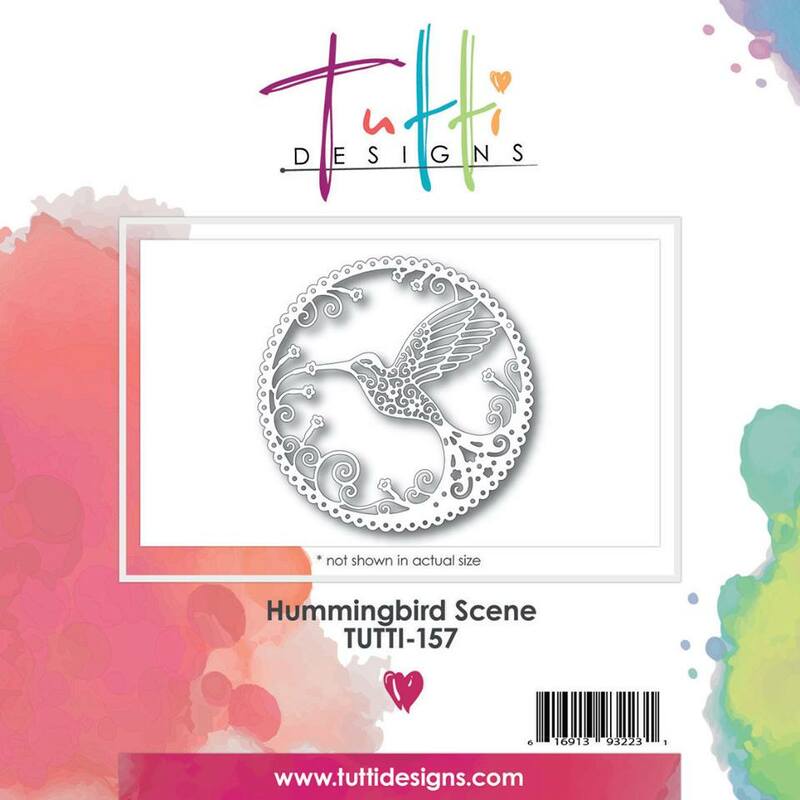 Love the multicoloring of the hummingbird! Gorgeous, Samantha! 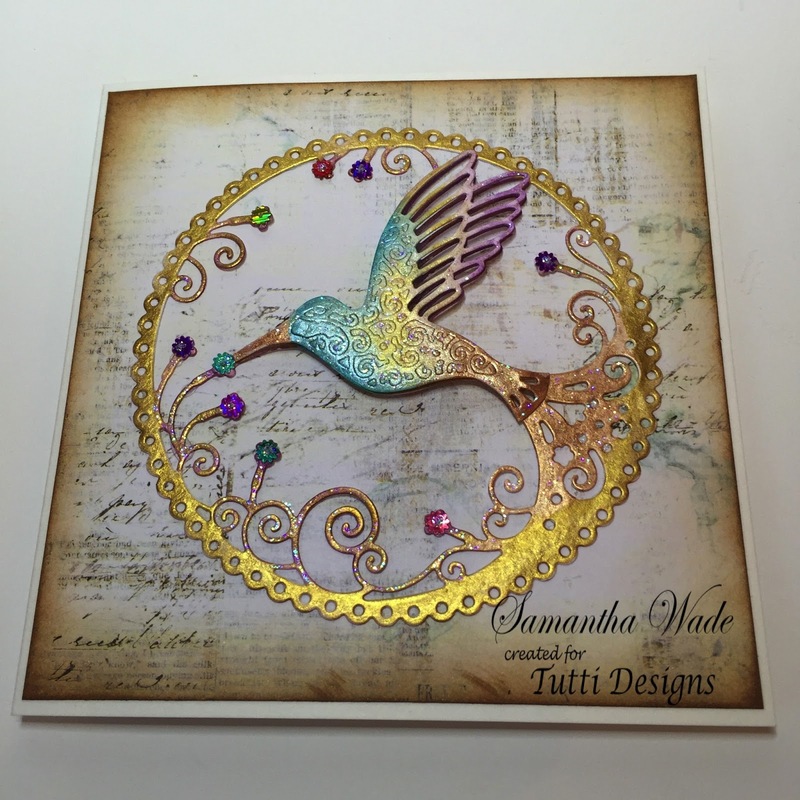 Love the colours and the fabulous dimension on the Hummingbird!